"Heaven and earth will pass away, but my words will not pass away." (Mark 13: 31). As we enter the 33rd Week in Ordinary Time, we notice that the emphasis of the Readings from the Holy Scriptures has shifted to the End Times. This world is not our permanent residence. One day, the world will end. But before that, we are invited to consider our own individual end and face to face meeting with the One who is called "The Faithful and True Witness." (Revelation 3: 14). Let us capture some quotes from today's Sacred Scriptures. Can you trust Jesus who is "The Yes and Amen" (2 Corinthians 1: 20)? I hope these Scriptures will boost your faith in the unfailing promises of Jesus Christ. #1. "The Lord said: I think thoughts of peace and not of affliction. You will call upon me, and I will answer you." (Jeremiah 29: 11, 12, 14). #2. "But the wise shall shine brightly like the splendor of the firmament, and those who lead the many to justice shall be like the stars forever.” (Daniel 12: 3). #3. "O LORD, my allotted portion and my cup, you it is who hold fast my lot. I set the LORD ever before me; with him at my right hand I shall not be disturbed." (Psalm 16: 5). 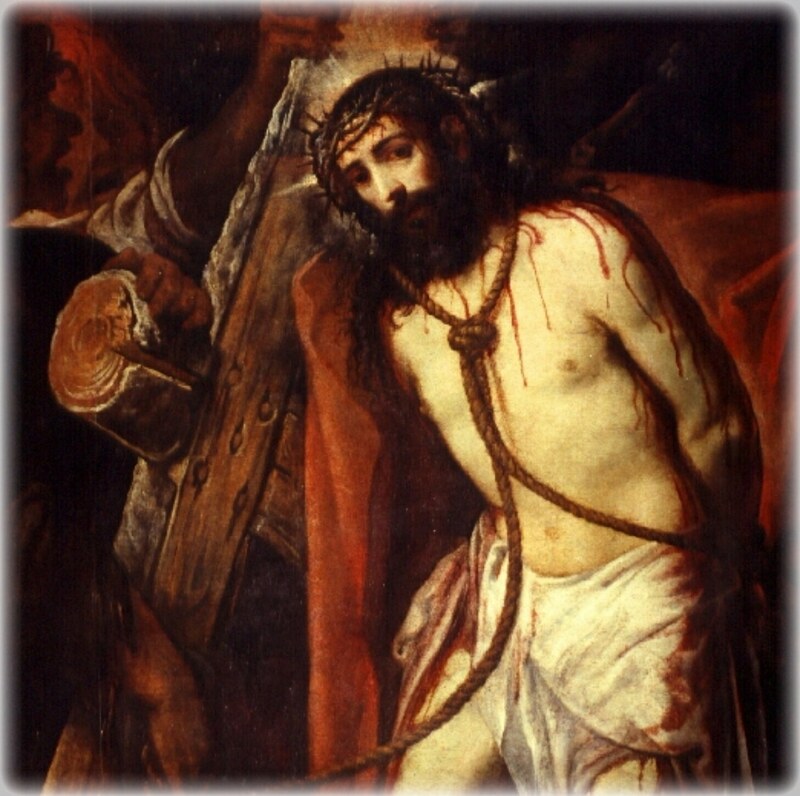 and pray that you have the strength to stand before the Son of Man." (Luke 21: 36). #5. "And then they will see ‘the Son of Man coming in the clouds’ with great power and glory, and then he will send out the angels and gather his elect from the four winds, from the end of the earth to the end of the sky." (Mark 13: 26 - 27). #6. "To be near God is my happiness, to place my hope in God the Lord." (Psalm 73: 28). and it shall be given to you, says the Lord." (Mark 11: 23 - 24). Brothers and sisters, I hope this Buffet of Sacred Writings will warm your heart this Sunday and propel you to seek the prize of everlasting happiness. The Persistent Widow floors the corrupt Judge. "Jesus told his disciples a parable about the necessity for them to pray always without becoming weary." (Luke 18: 1). #1. Prayer is a vital necessity. #2. We must persevere in Prayer. #3. Prayer must be made always. Why is Prayer a vital necessity? Prayer is a vital and absolute necessity because it is God's ordained means for the flow of grace and mercy. Why must we perservere in Prayer? Nothing happens in God's universe until the fullness of time ordained by God. So there is absolute necessity to wait for God's time. I like the rendition of Romans 8: 24 - 25 by the MSG. "That is why waiting does not diminish us, any more than waiting diminishes a mother. We are enlarged in the waiting. We, of course, don’t see what is enlarging us. But the longer we wait, the larger we become, and the more joyful our expectancy." (Romans 8: 24 - 25 MSG). "God grants us not always what we ask so as to bestow something preferable."..... “The desire is thy prayers; and if thy desire is without ceasing, thy prayer will also be without ceasing. The continuance of your longing is the continuance of your prayer.” (St Augustine). This may well be the raison d'etre for Novena. The disciples of Jesus made the first Novena waiting for the the gift of the Holy Spirit. "All these with one accord were devoting themselves to prayer, together with the women and Mary the mother of Jesus, and his brothers." (Acts 1: 14). Do you know how to pray without ceasing? (1 Thessalonians 5: 17). Then learn the Jesus Prayer. What is the Jesus Prayer? Simply the Name of Jesus. "Jesus" is a complete prayer. You can say it constantly. Jesus, Yeshua means Savior. It signifies what it means and affects what it signifies when uttered with faith. It is a very powerful Prayer. "Whoever seeks to preserve his life will lose it, but whoever loses it will save it." (Luke 17: 33). "No one has greater love than this, to lay down one’s life for one’s friends." (John 15: 13). "Jesus said to all, “If anyone would come after me, let him deny himself and take up his cross daily and follow me. For whoever would save his life will lose it, but whoever loses his life for my sake will save it." (Luke 9: 23 - 24). "I let go of my desire for security." "I let go of my desire for affection ." "I let go of my desire for control ." "I let go of my desire to change the situation ." "I let go of my desire for perfect health ." "I let go of my desire for perfect family harmony ." "I let go of my desire for the perfect job." I let go and live!! Is the Kingdom of God truly among us? "The Kingdom of God is among you.” (Luke 17: 21). What did you hear and see when you accompanied Jesus, Peter, James and John to the Mountain of Transfiguration? I saw the Apostles sleeping and suddenly a booming voice rang out and everybody was suddenly alert. The voice of the Father said: "This is my dearly loved Son, who brings me great joy. Listen to him." (Matthew 17: 5). Jesus looking at me said: "Seek the Kingdom of God above all else, and live righteously, and he will give you everything you need." (Matthew 6: 33). 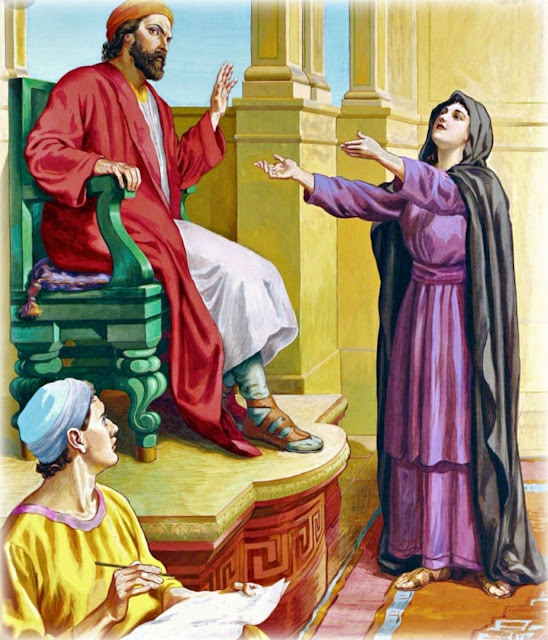 "Asked by the Pharisees when the Kingdom of God would come..." (Luke 17: 20). 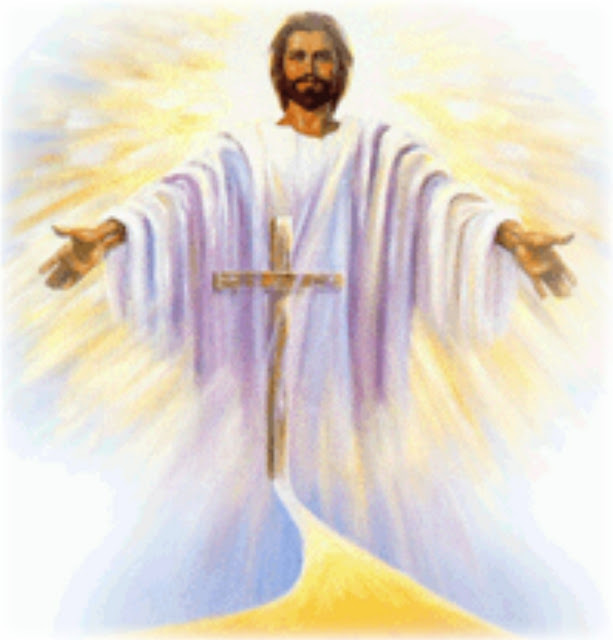 The Kingdom of God is already here and now but will be ushered in its fullest splendor in the Second Coming of Jesus. I objected that what is proclaimed as the Kingdom and as already among us and what I see with my 2 eyes does not look like a Kingdom at all. An Angel whispered to me: "You do not apprehend the Kingdom by sight or by feeling but by Faith." I thought for a minute and exclaimed: "I now understand!" I am absolutely sure the Holy Spirit is in me. I do not see Him and sometimes do not even experience His activities in me. I know that Jesus is truly present in the Eucharist but I am sometimes distracted after receiving Him. So not by sight or feeling but by faith. Thank You Jesus. your God, O Zion, through all generations. Alleluia." (Psalm 146: 10). "But first he must suffer greatly and be rejected by this generation." (Luke 17: 25). Lord help us to walk by faith and not by sight or feeling. Today is the feast of St Albert the Great: (1206 - 1280). Dominican priest, Bishop, first class scientist, Doctor of the Church and teacher of St Thomas Aquinas. God made Bishop St Albert great by his joining of human wisdom to divine faith. 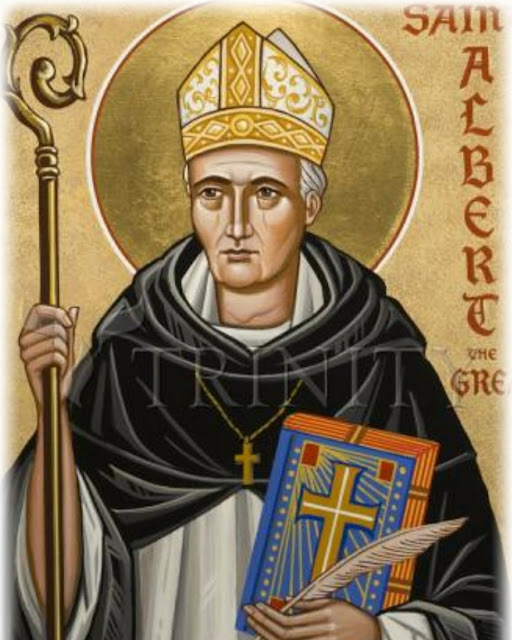 St Albert the Great pray for us. “Jesus, Master! Have pity on us!” (Luke 17: 13). 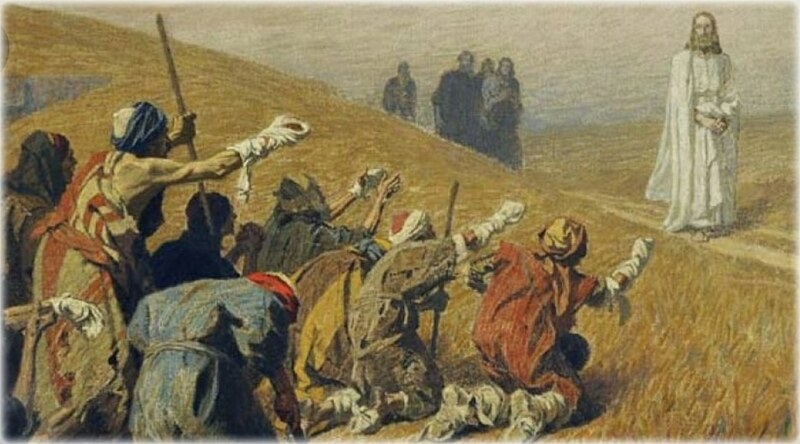 The story of the Cleansing of the 10 Lepers is rich in lessons of God's great mercy and our response and gratitude for mercy. “Ten were cleansed, were they not? Where are the other nine?" “Stand up and go; your faith has saved you.” (Luke 17: 19). And so is fulfilled this word of God: "Whoever has will be given more, and they will have an abundance. Whoever does not have, even what they have will be taken from them." (Matthew 13: 12). Let us turn to the 9 cleansed and ungrateful lepers for a moment. Why did they miss out on the more enduring and lasting effects of the healing of Jesus? Consider the clue from the first Reading from Titus: "For we ourselves were once foolish, disobedient, deluded, slaves to various desires and pleasures, living in malice and envy, hateful ourselves and hating one another." (Titus 3: 3). The Scripture says that you and I are exactly like the 9 cleansed and ungrateful lepers. Count your blessings and make a list of them. Count your thanksgiving and make a list of them. Which list is longer? "In all circumstances, give thanks, for this is the will of God for you in Christ Jesus." There is no chaos in our destiny. "Take delight in the LORD, and he will grant you your heart’s requests." (Psalm 37: 4). Why do I love the above Scripture so much? The promise fulfills my deepest desires. I know and believe today that God knows exactly what I need and when I need it. In the past I wasn't so sure of this. I know too that God Never Fails! A few months ago, I recorded the landmarks in my life starting from the age of 3 upto today and made a Timeline spanning several decades. I was astonished. I see today a remarkable order in what I had seen as chaos all over the place. Are you familiar with the Chaos Theory? In brief, there is No Chaos in our destiny. Everything is Providence! I did not notice this Providence working in my life but it was there in every moment and every step I took. Paul put it this way in the first Reading from Titus: "For the grace of God has appeared, saving all and training us to reject godless ways and worldly desires and to live temperately, justly, and devoutly in this age." (Titus 2: 11 - 12). And John the Divine says: "Whenever our conscience condemns us, we will be reassured that God is greater than our conscience and knows everything." (1 John 1: 20). "Trust in the LORD and do good, that you may dwell in the land and be fed in security." 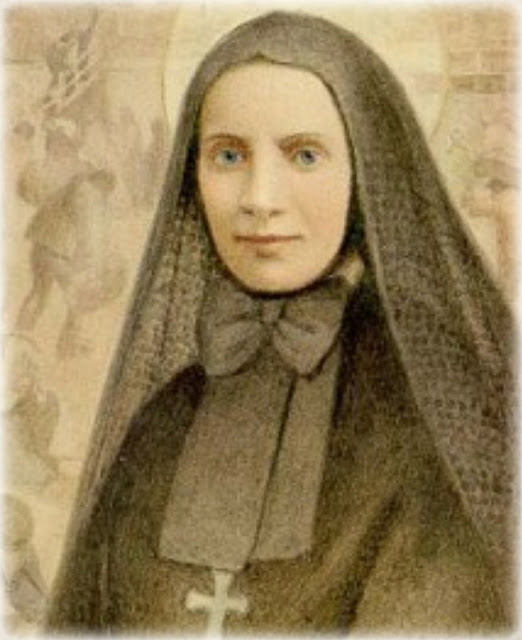 Today is the feast of St Frances Xavier Cabrini, Apostle of poor immigrants. She will be shocked at the hostility to immigrants by children of poor immigrants. St Frances Xavier Cabrini pray for us. “Increase our faith.” (Luke 17: 5). 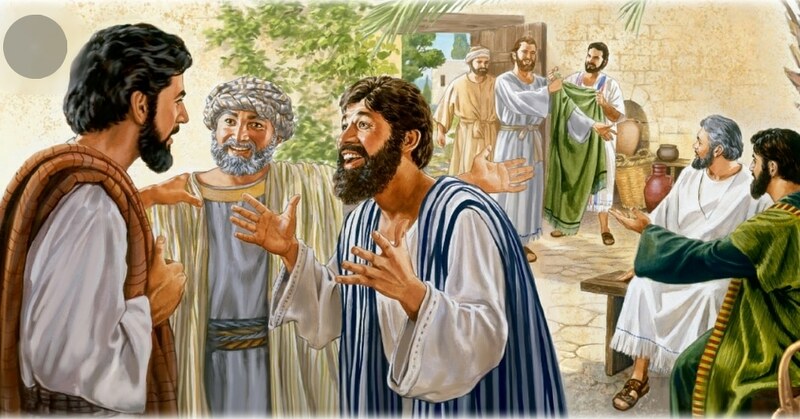 The Apostles pleaded with Jesus. Watching Jesus teach, pray and perform miracles, they were able to isolate the key difference between them and the Master: FAITH! That is the missing ingredient. What is faith? The Letter to the Hebrews defines faith as: "Confidence in what we hope for and assurance about what we do not see." (Hebrews 11: 1). A common man's definition might go like this: Faith is absolute confidence in the promises of God in the Divine Scriptures. The one who shows such confidence knows that God Never Fails! The type of faith that the Apostles saw in Jesus in His public ministry is exactly the same type of faith that distinguished the heavy weights in Israel's history. "This is what the ancients were commended for." (Hebrews 11: 2). Then follows a long list of Who is Who in the history of Israel concluding with... "These were all commended for their faith." (Hebrews 11: 39). The Apostles understood clearly that without this magic ingredient of Faith added to their character, they would end up as mediocres or as nothing. Why is faith crucial for living the Christian life? "For every child of God defeats this evil world, and we achieve this victory through our faith." (1 John 5: 4). Do you know that we are in the state of constant spiritual warfare? Every one of us? Most of the trials you face are instances of this struggle. "These trials will show that your faith is genuine. It is being tested as fire tests and purifies gold--though your faith is far more precious than mere gold. So when your faith remains strong through many trials, it will bring you much praise and glory and honor on the day when Jesus Christ is revealed to the whole world." (1 Peter 1: 7). Therefore, stand firm and fight valiantly in order to win. Do not be scared to death when you encounter obstacles, disappointments, delays, sicknesses, pennilessness, etc. "Consider it all joy, my brothers, when you encounter various trials, for you know that the testing of your faith produces perseverance." (James 1: 2 - 3). Genuine faith must be tested by trials. So was the faith of Abraham and Mary and the faith of the great ones of Israel. Why do you think that your faith should be different? "I promise to be your strength in proportion to the trust you place on me." This encourages me a lot and I respond: "Lord Jesus I trust in You. Increase my trust!" "As your days, so shall your strength be." (Deuteronomy 33: 25).